I’ve been using the Fish Shell for months, and I think it’s the best shell I ever used. For many reasons. People seem to stick with Bash which is the default on many systems (Linux, macOS) or use Zsh which is “trendy” mainly thanks to the amazing Oh My Zsh project. 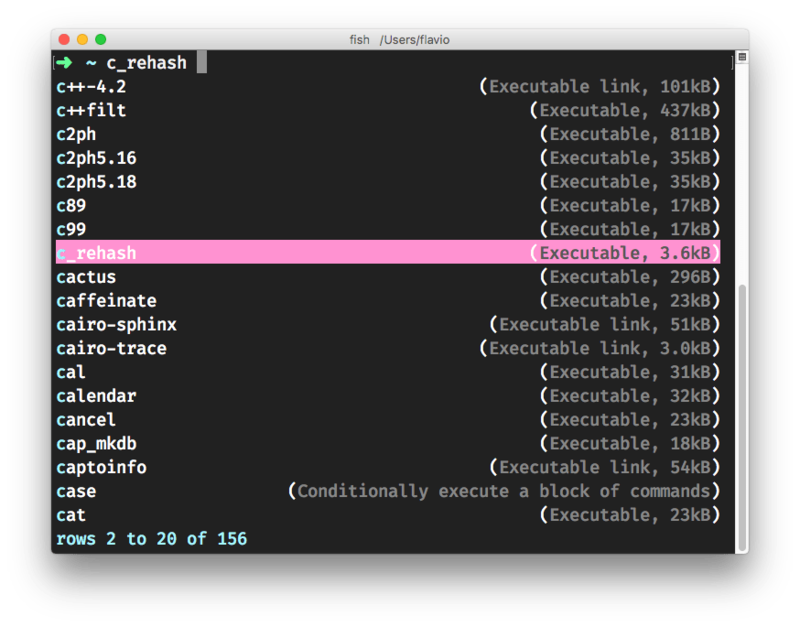 Bash, while great, is a very basic shell, with a limited set of configurable options. I tend to use it mostly to run Bash scripts (which are another topic) rather than as an interactive shell. Zsh offers a lot of features but requires a little bit of configuration to set up, which might frighten beginners. Also, too many options and freedom means you can get in a configuration paralysis pretty easily, and you end up changing the options 20 times in a week to make sure you’re not missing out. Fish Shell to the rescue! This shell provides an amazing environment, and fully featured configuration out of the box. it has a better autocomplete features for commands you already executed and this alone is really making my day to day faster and less stressful. you begin typing a command and press the up key to see all the times in the shell history where you used that command before. you can install Fish on any system and it works in the same way everywhere, without having to customize too much to get the fancy things. When it comes to scripting, it is fairly different from Bash scripting (in a better way IMHO), but you can run any Bash script provided it is prefixed with #!/bin/bash. and in my opinion is the most beginner friendly shell. 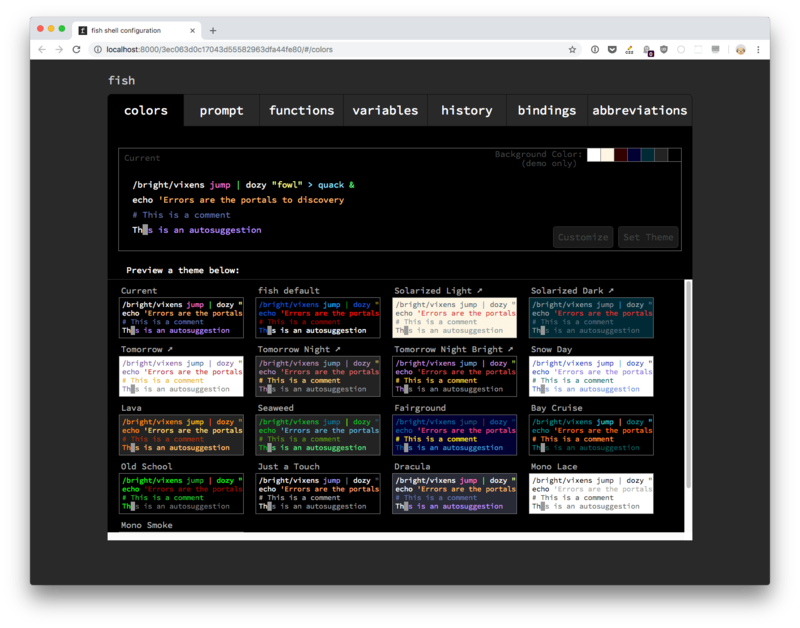 For those lucky few with a graphical computer, you can set your colors and view functions, variables, and history all from a web page. Then I realized it was programmer’s humor and it made me chuckle. Tech should always be fun, right? First things first: what is a shell? A shell is an interface to the underlying operating system. It allows you to execute operations using text and commands, and it provides users advanced features like being able to create scripts. Install Fish by running brew install fish on macOS. fish is installed in /usr/local/bin/fish. Once nice thing about Fish is a web-based configuration. Run fish_config to start the web client. The configuration is stored in the ~/.config/fish folder, and that’s where you can edit it without having to use the (optional) web based configuration. 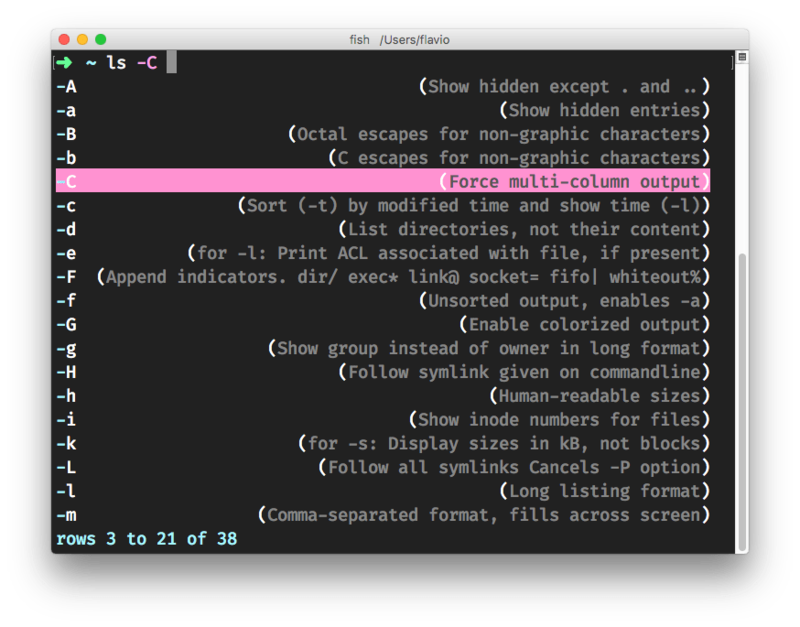 If you run one of those commands (or any command, really) you will start seeing the words you type get different colors. It makes it really easy to read and understand commands. Fish also adds autocompletion. If you ran cd ~/.config/fish/ previously, and now you type cd, Fish will suggest commands you might want to type, and you just press the right arrow to accept the suggestion (or you can continue to type to change the command). This suggestion is based on command history and file paths. This inline help is generated from man pages, the helpful shell help (try running man ls for the complete help). If you like Fish once you try it out and want to make it your default shell, open the file /etc/shells. I use pico to do those small file edits, with pico /etc/shells, but you can use any editor you prefer, even VS Code with code /etc/shells. enter your password, and the shell will change for your user. You can install Fish plugins. Fisher is a popular Fish package manager. and it’s available with the fisher command. Now a package can be installed using fisher add <github-repository-path> and removed using fisher rm <github-repository-path>. List all plugins installed using fisher ls. Run fisher to update all the packages you installed. Here is a list of packages you can install. Various shells comply with the POSIX shell command standard. and it’s a standard meant to unify the various Unix environment that were built over time. There is a shell command standard subset, which is meant as a way to unify how Unix shells work. Unix is a specification/standard for a family of operating systems. Linux and macOS are based on Unix (Windows is not). bash, ksh and others are POSIX compliant. Being POSIX compliant makes scripts written with POSIX compatibility work across POSIX compliant shells. Why is it different? Various reasons, but I imagine having to support POSIX means the shell must adhere to a common language that might interfere with the shell philosophy and way of working. Not everyone want to have that baggage of tech to support forever. This will very rarely be a problem with executing commands, but you need to keep it in mind when it comes to scripting and programming.